In a true, code-red taco emergency (aka tacomergency), a first responder needs the proper vehicle. 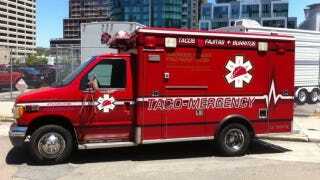 Unfortunately, this ready-to-rock taco truck (tacombulance?) is only a movie prop, so 911 operators will just have to keep routing tacomergency calls to Baja Fresh.